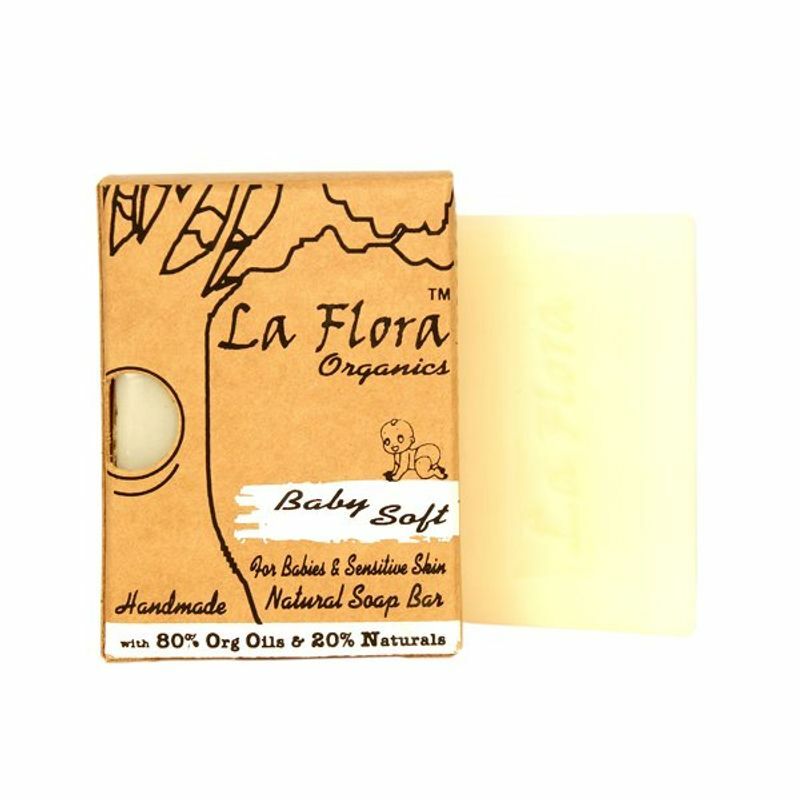 La Flora Organics brings to you skin nourishing, handmade and vegan bathing bars.These Cold process made mild bathing bars are enriched with natural Glycerine. Made using Certified Organic Coconut & Olive Oils, this soap is known to have excellent moisturising & skin hydrating properties.Therapeutic Calendula extracts is ideal for babies & adults with sensitive skin as per Classical homeopathy.Organic Lavender essential oil has calming and relaxing properties apart from skincare benefits that will help baby to relax after a wonderful bath time. Explore the entire range of Bath Time available on Nykaa. 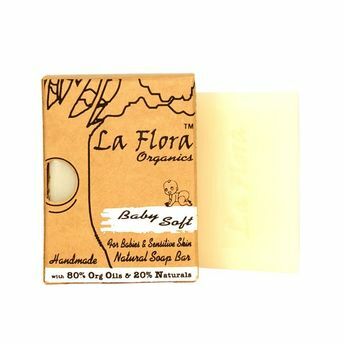 Shop more La Flora Organics products here.You can browse through the complete world of La Flora Organics Bath Time .